Ai sensi dell’art. 8 dello Statuto, l’assemblea ordinaria dei Soci è convocata venerdì 29 marzo 2019 nella sede del Centro Camuno di Studi Preistorici, a Capo di Ponte, alle ore 08.30. Qualora, come si prevede, non fosse presente la maggioranza dei Soci, la seconda convocazione è fissata per le ore 14.00 dello stesso giorno, ai sensi del citato articolo 8 dello Statuto. As most of you already knows, the BCSP (Bollettino del Centro Camuno di Studi Preistorici) is the archaeological journal published by the “Edizioni del Centro”, the publishing house of the Centro Camuno di Studi Preistorici (CCSP), focused mainly on Rock art and on the prehistoric and tribal art more in general. This periodical journal contains current articles, research reports and surveys on recent discoveries throughout the world. 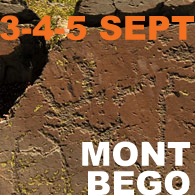 With the organization of the successful 20th INTERNATIONAL ROCK ART CONGRESS IFRAO 2018, the publication of the BCSP has been postponed for one year. It is now our priority to recuperate this time and we will now proceed to the publication of the number 44, 45 and 46 of the BCSP by the end of the 2019. The editorial board welcomes two kinds of original contributions to be considered for publication: papers (60.000 characters) and short news (15.000 characters). The texts must be in English, French or Italian. We would like to remember that the proposed papers for the publication the BCSP will undergo the process of double blind review. come molti di voi già sanno, il BCSP (Bollettino del Centro Camuno di Studi Preistorici) è una rivista archeologica dalle Edizioni del Centro, la casa editrice del Centro Camuno di Studi Preistorici, interessata principalmente sull’arte rupestre e sull’arte preistorica e tribale in generale. Testimonia più di quarant’anni di progresso nella ricerca e pubblicando articoli, rapporti di ricerca e resoconti di recenti scoperte da tutto il mondo. 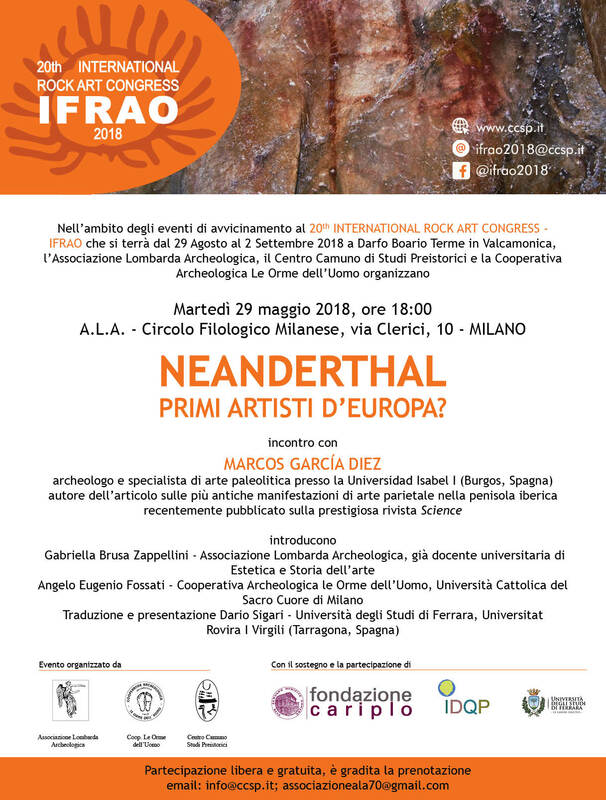 Con l’organizzazione del 20th INTERNATIONAL ROCK ART CONGRESS IFRAO 2018, la pubblicazione del BCSP è stata fermata per un anno ed è quindi nostra priorità recuperare il tempo dedicato al congresso pubblicando i numeri 44, 45 e 46 del BCSP entro la fine del 2019. La redazione del BCSP sarà lieta di accettare contributi originali in forma di saggi (60.000 battute ) e news brevi (15.000 battute). Saranno pubblicati saggi in lingua italiana, francese o inglese. I testi proposti per la pubblicazione sul BCSP vengono sottoposti a un processo di double blindreview. Con la presentazione della dichiarazione dei redditi per l’anno 2017, sarà possibile esercitare l’opzione di versare il 5 per mille a favore del Centro Camuno di Studi Preistorici. Versare il 5 per mille non significa pagare più tasse. Semplicemente una parte delle nostre tasse, che altrimenti confluirebbe nelle casse dello stato, sarà assegnata al Centro Camuno di Studi Preistorici. Per destinare il proprio 5 per mille al Centro si dovrà firmare nel riquadro “Sostegno del volontariato e delle organizzazioni non lucrative di utilità sociale, delle associazioni di promozione sociale e delle associazioni e fondazioni riconosciute che operano nei settori di cui art. 10, c.1, lett a), del D.lgs. n. 460 del 1997” e indicare nel riquadro il codice fiscale del Centro Camuno 81003350170. Grazie fin d’ora per il vostro sostegno. In the end of the IFRAO 2018 Congress, the Centro Camuno di Studi Preistorici (Camunian Centre for Prehistoric Studies) and the Coop. 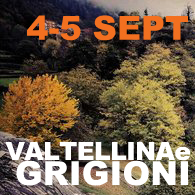 Archeologica “Le Orme dell’Uomo” (Archaeological Cooperative “The Footsteps of Man”), in collaboration with Cristallo Tour Travel Agency, are pleased to invite you to lengthen your stay in Valcamonica and in the bordering regions. The people, which are interested in this trip, are asked to complete the registration form. The payment request will be forwarded only upon reaching the minimum number of 30 participants. The costs indicated may be subject to slight variations that will be promptly reported to members. If the minimum number of 30 participants will be unreached, the trip will be canceled. Registration deadline: June, 7th, 2018.
after August 1st, 2018: it will no longer be possible to withdraw and the full amount of the trip must be paid. The guided tours will be held in English. Scientific archives and library of CCSP. Archaeological remains in the historic centre of Brescia have a connection with monumental buildings of the Capitoline area of this ancient city that was later occupied by Longobards. Brescia is a UNESCO World Heritage: “Longobards in Italy. Places of the Power” (whc.unesco.org/en/list/1318, longobardinitalia.it). Pleasant walk among churches and squares of Brescia that retain mediaeval traits and traces Venetian dominance. The visit to “Dosso dei Castelli” starts with the renown prehistoric rock engravings of “Rupe Magna”, followed by the Chiesa di San Faustino (X‑XI century) and ends at the XIV century Castello Visconteo. A museum about the history of the Grigioni . One of the castle’s rooms is about the rock art of Lake Garda. Statue stele, displays on Polada culture and Busa Brodeghera. 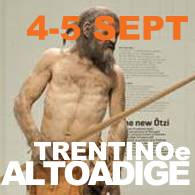 This museum is about Ötzi the Iceman, a 5300-year-old glacier mummy from the Copper Age that was naturally preserved by ice. Designed by the famous climber Reinhold Messner, the museum addresses the subject of man’s encounter with mountains. is one of the most important of its kind in Europe. 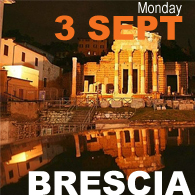 Note: the bus will stop in Brescia at approximately 19:40; trains to Verona (Catullo airport) leave Brescia every 2 hours. This recently redesigned museum has one of the world’s largest collections on ancient Egypt. The Egyptologist, Jean-François Champollion, once wrote, “The road to Memphis and Thebes passes through Turin”. A visit on foot to see the arco d’Augustus, ecclesiastical area of Sant’Orso, early Christian basilica of San Lorenzo, Porta Praetoria and Teatro Romano. An archaeological museum and park contains one of the greatest collections of megalithic monuments in Italy. Note: The bus will stop in Novara for transfers to Milan (Malpensa airport) and Bergamo (Orio al Serio airport). The area of rock engravings will be reached by off-road vehicles. Museum staff will guide the visit. Se fino ad oggi l’arte rupestre paleolitica in Europa era associata alla presenza di Homo sapiens, la recente ricerca di Marcos García Diez, pubblicata su Science, apre nuovi scenari nella ricerca paleoantropologica. Le datazioni ottenute attraverso il metodo Uranio-Torio (U/Th) di alcune incrostazioni calcitiche coprenti delle pitture rosse nelle grotte di La Pasiega (Puente Viesgo), Maltravieso (Caceres) e Ardales o de Trinidad Grund (Ardales), stabiliscono un terminus ante quem di almeno 25.000 anni più antico. Chi dipinse quindi queste grotte? Accettando lo schema ad oggi utilizzato nella Paleoantropologia dovremmo dire Homo neandertalensis. La scoperta si inserisce in un quadro decisamente ampio di revisione circa le capacità cognitive e simboliche dei Neanderthal come vari lavori recenti hanno dimostrato e stanno dimostrando: l’uso di piume per scopi decorativi nella grotta di Fumane o di conchiglie marine e pigmenti minerali nella cueva de los Aviones; ma anche di retrodatazione del cosiddetto movimento “out of Africa” dei primi Sapiens, come le datazioni effettuate nel sito israeliano di Misliya testimoniano, in un periodo compreso tra 177.000 and 194.000 anni fa. Il dibattito è dunque aperto. The advanced course “Recording rock-art: new technologies for the documentation and management of mountain and valley heritage” is proposed by the UNIMONT Università della Montagna (University of the Mountains, University of Milan located at Edolo) in collaboration with the Centro Camuno di Studi Preistorici with the aim of developing new professionals for the field and transforming historical/cultural heritage into a valuable lever for regional development and economic growth. The course is a post-graduate specialisation that confers an academic title. 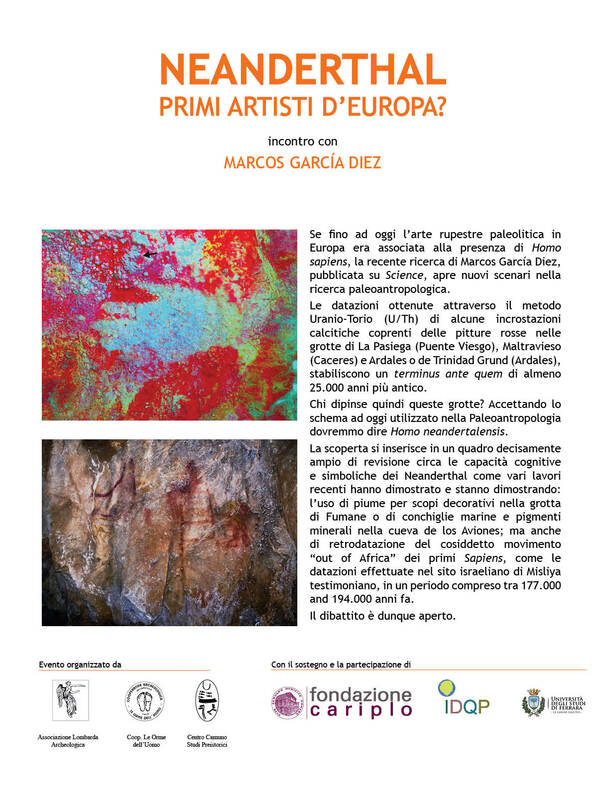 The programme aims to provide its participants with an “expanded” point of view both geographically and chronologically and to bring together complementary disciplines so as to create ideas and methodologies and enrich the field experience of future rock-art specialists. 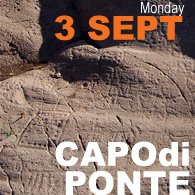 The lectures will include both theoretical and practical topography sessions on mapping using GPS systems, database creation and management, notions of archeology and mountain geomorphology, methodology and data collection on rock art. The Centro Camuno di Studi Preistorici (with experience gained in 50 years of activity) and UNIMONT propose this course of professional training and specialization in the field of human sciences and cultural heritage with the use of both theoretical and practical methods directly on the field. The Advanced course opens the possibility of learning and applications to European students and graduates, offering lectures and contributions from Italian and international professors and professionals and providing the network of experts that the Center has been able to establish over the time with universities and research centers from all over Europe. At the end of the course participants will have mastered a series of theoretical ideas and practical tools useful for working in various fields related to rock-art. In particular: (1) the theoretical background necessary to place the phenomena studied in their chronological and cultural framework; (2) expertise in various approaches to the recording and management of data with particular emphasis on emerging technologies; (3) the ability to investigate and study rock-art in the environmental context in which it is found; (4) an understanding of, and ability to analyse, the botanical, climatic and geological context; (5) basic knowledge of the protection and conservation of archaeological heritage; (6) an understanding of the issues related to presenting rock-art in a museum context. The course will last 30 hours over two working weeks (Mon-Fri 7 hours/day, Saturday 5 hours). The practical and theoretical elements will be combined flexibly to allow for the possibility of bad weather and to permit putting into practice the ideas and methods learned during the lectures. 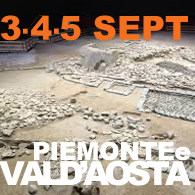 The course, due to its uniqueness of uniting theory and practice, will have to be carried out on the spot; the participants will attend part of the theoretical lectures at the Università della Montagna in Edolo (BS) and at the CCSP (Capo di Ponte), the practical lessons will be held in the archaeological sites situated in Valcamonica (Rock Engravings Nature Reserve of Ceto, Cimbergo and Paspardo). The course will take place entirely in English. The first class will be possible to follow in streaming using the virtual classroom. The virtual classroom will be possible to have interactive question and answer, sessions will be conducted through live audio-visual feed or through chat/messaging. The final assessment of the course will take the form of a paper (maximum 12 pages) related to one of the themes addressed in lectures. The papers will be submitted to the referees of the journal “BCSP – Bulletin of the Centro Camuno di Studi Preistorici” and the best will be published there. Admission will be based on the evaluation of potential participants’ Curriculum Vitae. To apply one must send one’s CV along with an accompanying letter that details the applicant’s level of knowledge and specific experiences in rock-art research. The following degree backgrounds are deemed appropriate for participants: Undergraduate degree in Cultural Heritage, Archaeology, Anthropology, Architecture, Geology, History, Geography, Literature, Restoring of Cultural Heritage and Environmental Sciences.